Robert Horvitz is founder and director of Stichting Open Spectrum (he Open Spectrum Foundation – www.openspectrum.info). He has been involved in radio policy issues since the 1970s, as a journalist, editor, researcher and activist. In the early 1980s he co-hosted Compuserve's HamNet Forum and covered "spectrum politics" as a correspondent for Radio Nederlands Wereldomroep. During 1985-1988 he was chief lobbyist and then executive secretary of the Association of North American Radio Clubs. His "Local Radio Handbook" was published in 1991, then translated into 6 languages. From 1992 to 1994 he was the Soros Foundation's radio consultant for Eastern Europe and Central Asia, then coordinator of the Soros Foundations' Internet programme. During the wars in Yugoslavia, he managed ZaMirNet, an email/BBS network connecting journalists, humanitarian organizations, peace activists and ordinary citizens in Bosnia-Hercegovina, Croatia, Serbia, Slovenia and Kosovo; ZaMirNet was Sarajevo's only channel of communication with the outside world for more than 3 years. 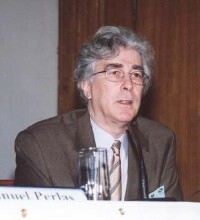 From 2000 to 2004, Horvitz was regional manager, then field manager, of the Global Internet Policy Initiative (GIPI) ( www.internetpolicy.net). GIPI works to accelerate Internet development in countries where access to this medium is limited. Earlier this summer, the Centre for Strategic Research in Moscow invited him to give a seminar on converting military frequencies to civilian use. In October, he will lead a two-day workshop on spectrum reform for the staff of Serbia's telecom regulatory agency. In November, he will report his global survey of WiFi regulations to an ITU workshop on spectrum management.